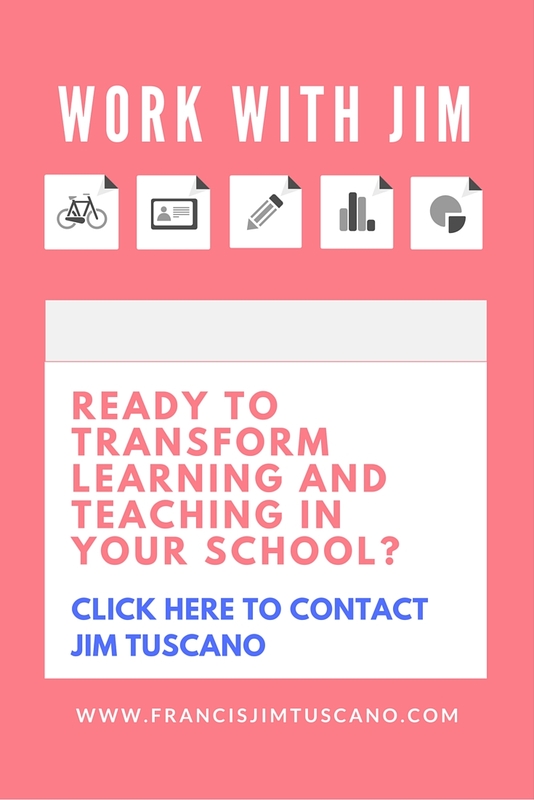 Google Apps for Education | Edtech, Go! Presenting in front of an audience has gone better and more interactive! 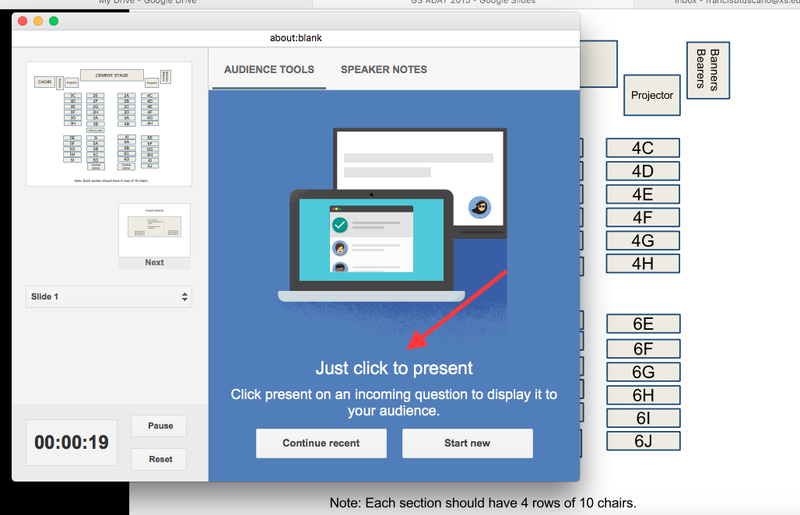 Well, this is so if you have been using or planning to use Google Slides the next time you speak up on the stage, in front of your classroom, or in an auditorium. 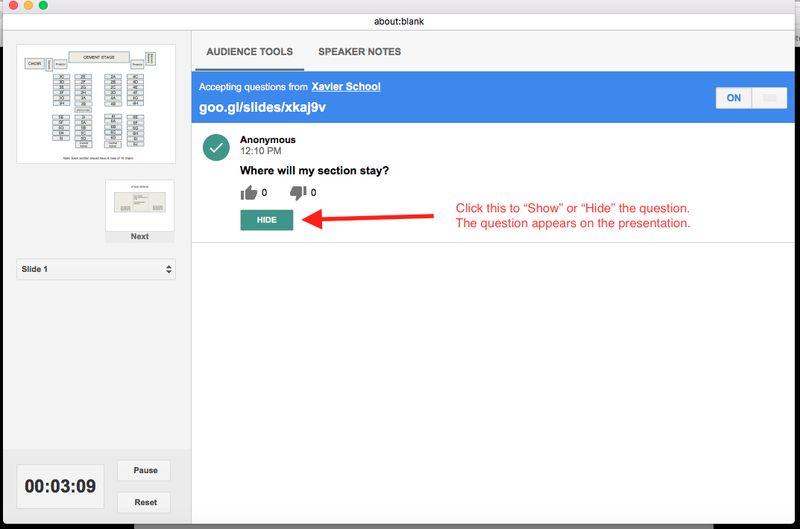 Several weeks ago, Google Apps for Education’s Slides has been updated with a Question and Answer feature that allows audience to post or ask questions to the speaker while the presentation is going on. 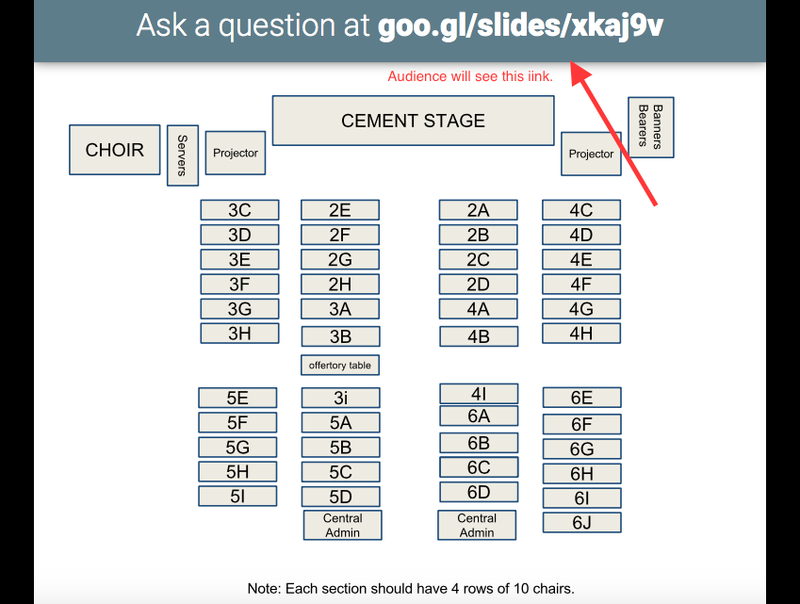 Of course, the speaker, using Google Slides, should allow the audience to post and send in questions. 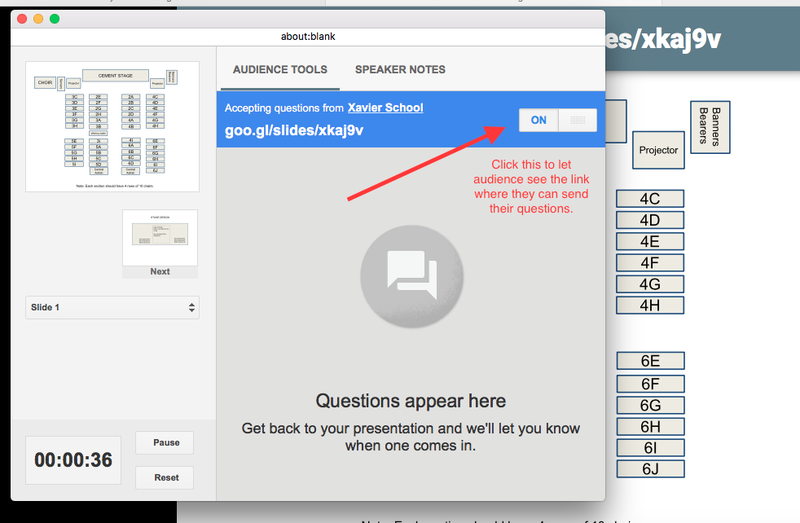 Once allowed, a shorten url link will appear on top of the presentation, which the audience can use to be able to send in their questions. In the classroom, this can be a great tool to facilitate a more interactive discussion or exchange of ideas between the students and the teacher. 1. 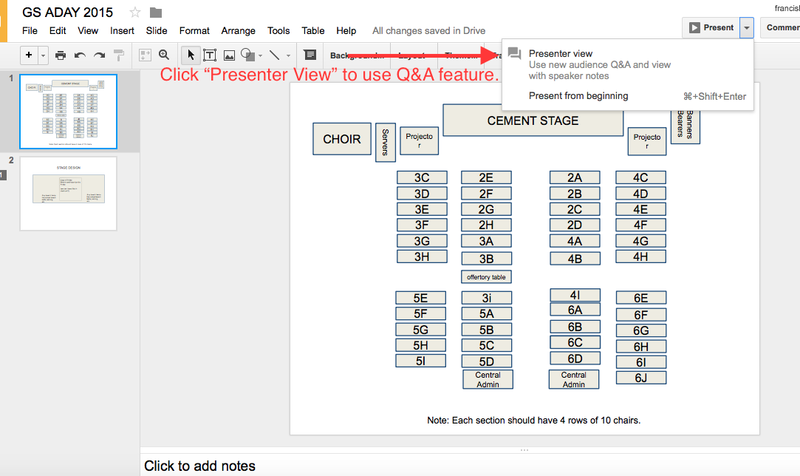 Click “Presenter View” to use the Q&A feature with speaker notes. 2. The Presenter View looks like the screen shot below. 3. Click “On” to enable Q&A during the presentation. Questions will appear once audience send in their queries. 4. Audience view: Shorten URL link to where they can post questions appears on top of the presentation. 5. 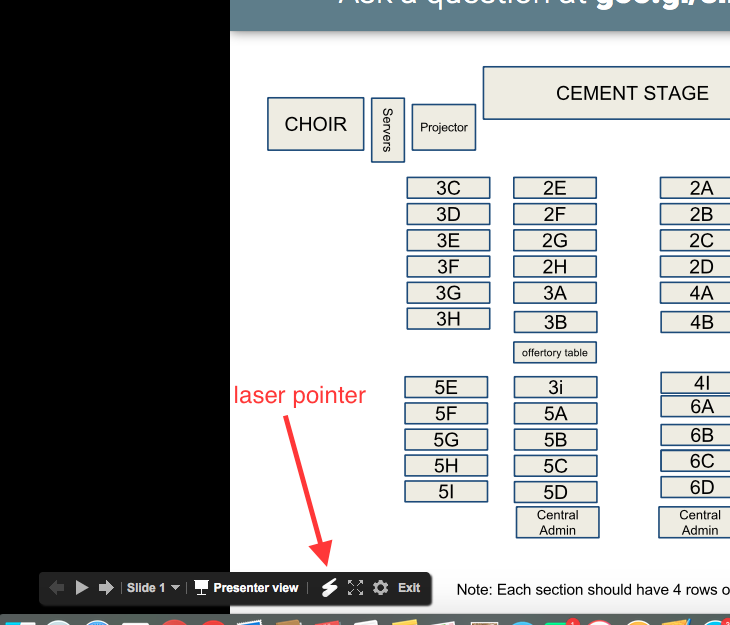 Once questions are sent in, speaker has the option to show the question during the presentation. If shown, it will be flashed as part of the presentation. Hide option is also available. 6. Additional feature! Laser pointer!